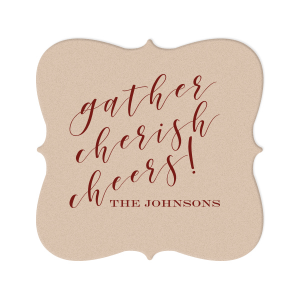 An elegant touch to your wedding reception, personalized nouveau wedding coasters can be designed with your own personal artwork or one of our gorgeously designed templates! 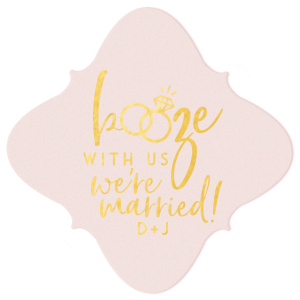 Their unique shape makes for a darling and unforgettable bar addition. 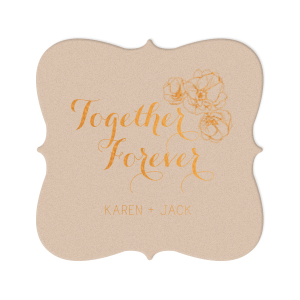 Artsy, vintage and elegant, personalized nouveau wedding coasters are a lovely detail to add to your wedding. 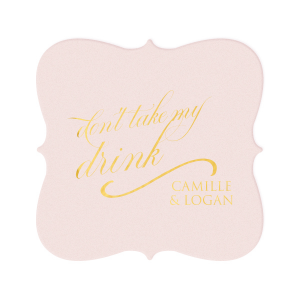 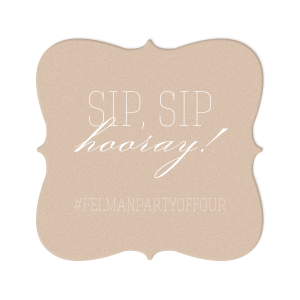 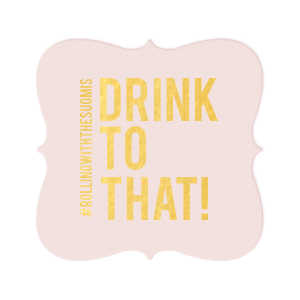 The custom nouveau wedding coasters can be placed on each table or at the bar at your wedding reception. 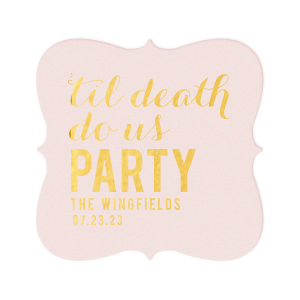 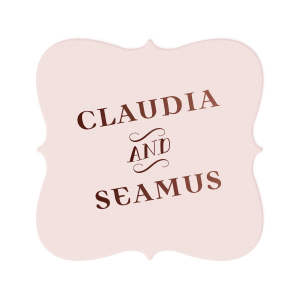 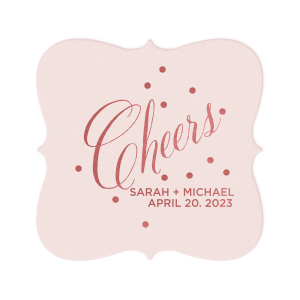 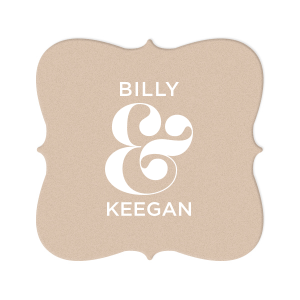 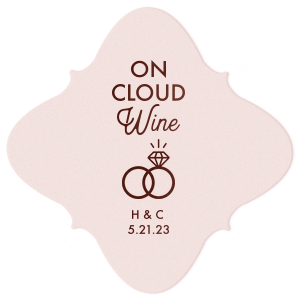 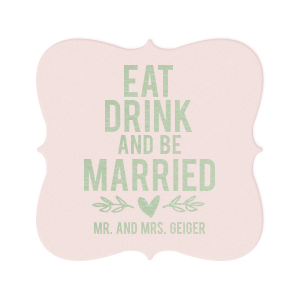 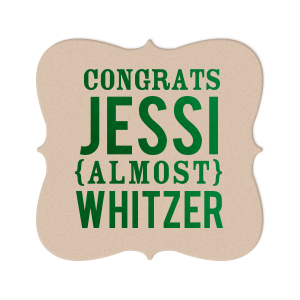 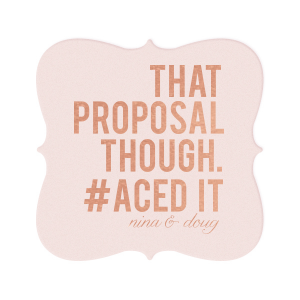 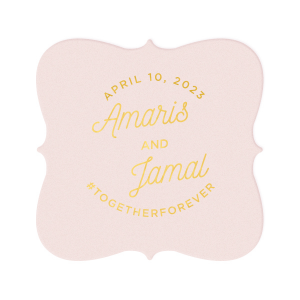 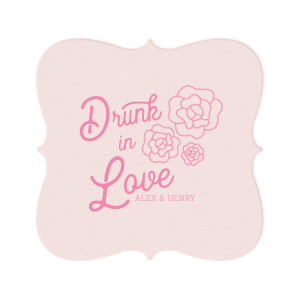 At 40 pt pulpboard, these personalized nouveau wedding coasters can be reused numerous times. 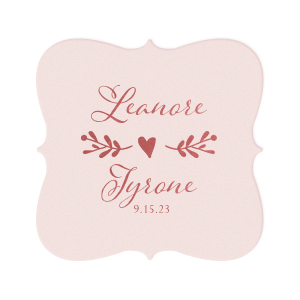 Choose from 4 color combinations over 150 fonts and 1,300 clip art designs. 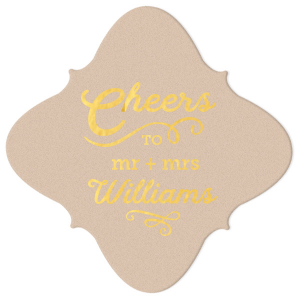 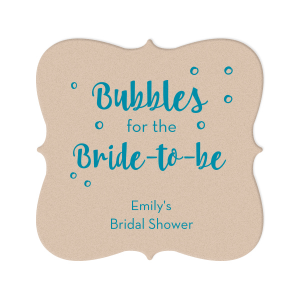 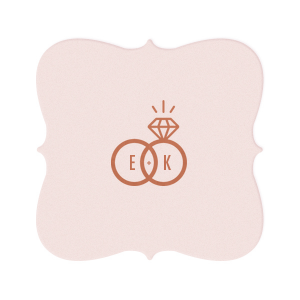 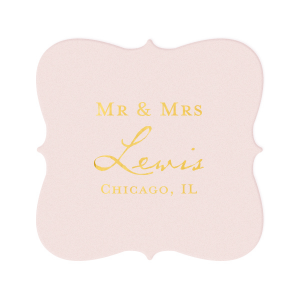 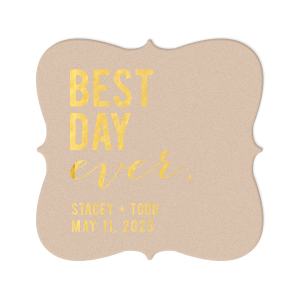 Foil stamped nouveau wedding coasters are sure to delight your guests!